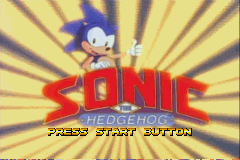 And from that update came the Sonic Fan game Formally known as Sonic Epoch. This game has been though so much turmoil, changes and cancellations, but the fact that it was one of the best Sonic fan games, if not THE best, always remained. When the game was canned, I put up a shine to it which many of you saw. Now that the game is alive and kicking once more, it’s back right where it should be; not on SFGHQ, but on FUS. epoch.zip The game in a zip file. The Oldest Epoch The Oldest version of Epoch, PC Version! Epoch95 Windows 95 Version of Epoch, PC. 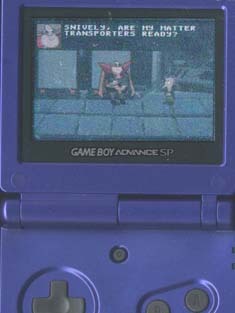 Q: Does this game actually run on a REAL GBA? Q: For the rest of us, what emulator do you recommend? A: VisualBoy Advance. 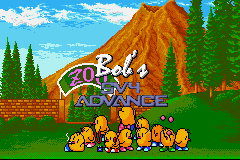 Any other GBA emulator doesn’t even compare. (Actually, most other emulators I’ve tried won’t even boot my ROMs, or will run them incorrectly. This doesn’t say much for them since it does work on real hardware, as noted above…) I can not verify the performance of any other emulator or a VisualBoy Advance version less than 1.5. If you don’t have VBA or need an update, get it here! Q: Okay, so you’re off your anti-“SegaSonic” kick; why do the shields still look pathetic instead of using cool Sonic 3 type sprites?